Oxford Champions - это гибкий курс с большим количеством дополнительных материалов, которые можно использовать для разнообразия к любым основным учебно-методическим комплексам английского языка для тинейджеров. Дополнительные учебные и культурные страницы в конце каждого учебника содержат дополнительные материалы для использования в классе. На DVD диске вы найдете привлекательные видеоматериалы, в том числе подлинные интервью с британскими подростками. Курс выдержал уже 2 издания, материалы каждого Вы можете скачать на данной странице. 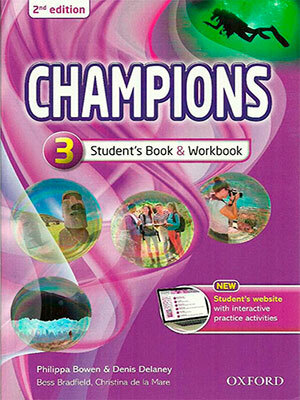 Oxford Champions - Second Edition combines the successful methodology and teen appeal of the first edition with even more motivating activities and a graded reader with every level. Champions Second Edition builds on the tried and test formula of the first edition with more emphasis on developing students’ confidence in real life situations. Language is presented in context at the start of every unit in a photo-story in the lower levels and in an interesting, teen-appropriate text in higher levels. Reading texts in the combined Student Book and Workbook and the graded reader that accompanies each level of Champions Second Edition develop students’ reading skills and consolidate the language. Grammar tables on each grammar page present new grammar points in a clear, easy-to-understand way, these are followed by plenty of controlled practice and further exercises are available on the corresponding Workbook pages. Extra printable grammar worksheets on the Teacher’s website provide further practice of all the required grammar points. Champions Second edition is a flexible course with plenty of extra material that can be used to add variety to lessons and as extension material for fast finishers. Optional Curriculum extra and Culture pages at the back of the Student Book section provide extra material to use in class. The Champions Second Edition DVD provides engaging video material including authentic interviews with British teens. The Graded Readers which accompany each level include related exercises and activities which are ideal for self-study at home. There is also a Student’s website with interactive grammar and vocabulary exercises and web quests. - Language is presented in context in either a photo-story or interesting text that will engage teen learners. - Motivating activities help students achieve their full potential. - More emphasis on developing students confidence in real life situations. - Graded reader per level enables students to develop their reading and language skills. 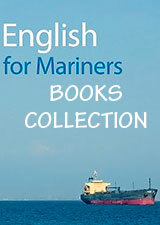 - New Culture texts and Curriculum Extra texts. - Student website with interactive practice, automatic marking and webquests. - Teacher website with editable tests and over 40 extra printable worksheets per level including new reading and writing worksheets. - DVD material including authentic interviews with British teenagers.